Hello! I'm Nameless! I studied Computer Science in college, and I spend most of my free time developing bots for the online communication site Discord. My goal is creating bots that are useful to various communities, filling their needs and making Discord a better place. Nameless is a fully customizable bot for your discord server with a simple and intuitive web dashboard. It brings a ton of features such as moderation, anti-spam/auto moderation, role management, custom commands, music, and many more that will greatly simplify managing your server and provide additional features for your members. • Nameless Premium for server of your choice! • A premium role in the Nameless discord server! • Nameless Premium 2x for the servers of your choice! • Premium music with unlimited song length and volume control. 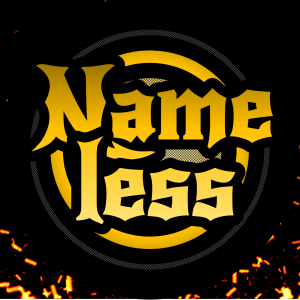 • Nameless Premium for 4x servers of your choice! • Nameless premium for 6x servers of your choice. • Sponsor role in the Nameless discord! • Your server listed on our website and discord server! Reaching this goal, we'll be able to afford much needed upgrades to our hosted services such as database, adding servers to support some new services/features of Nameless, and more.